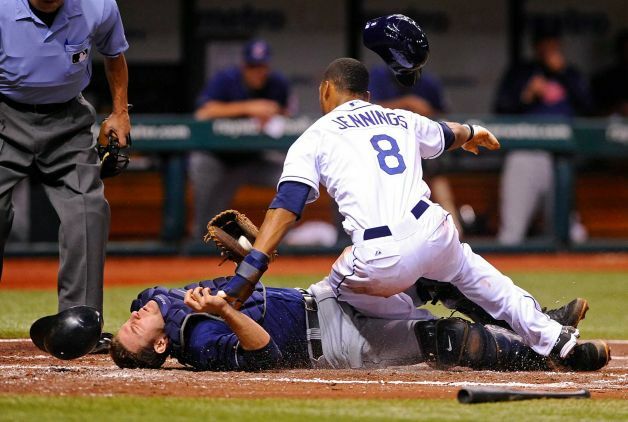 Tampa Bay Rays center-fielder Desmond Jennings (fractured left middle finger) is expected to be activated from the disabled list today and rejoin the team in Baltimore. Jennings has been out since breaking the finger Aug. 3, played for Class A Charlotte on Sunday and went 1-for-3. In 104 games before the injury, Jennings was hitting .258/.326/.419 (107 OPS+) with 11 home runs and a team-leading 17 stolen bases. Reliever Brandon Gomes is expected to be optioned back to Durham to make room on the roster. The Rays start a three game series with the Orioles tonight and find themselves one game behind the Boston Red Sox in the American League East. Jennings is expected to return to the lead off spot for Tampa Bay.